Maybe you’ve watched this happen with someone else. Or maybe it’s actually happened with you. You’re on your game. You’re serving well. You’re engaged. You’re making a great first impression with a new guest at your church (or place of business). And then you cross a line. You went—just too far. Sometimes a great first impression can go south with a word, a gesture, or an assumption. Keep it great! Stay fully engaged, always thinking about the experience you’re providing from the other side of your experience. To hear more from Mark, come to workshops in October at Granger. Select a workshop below to get more details and register. Bring your whole team! I’ve been asked about some bottom-line musts to establish and/or take guest services excellence to the next level. This isn’t an exhaustive list (that’s why I wrote a few books on the topic), but these core essentials will provide a foundation to make your serve to guests excellent and personable. Are the right leaders in place? Do they carry the DNA, mission, vision and values of the church? Do they hold the experience of the guest as a top priority over personal convenience? Are they gifted leaders—not merely doers (although they may do fantastic work)? Do these leaders have chemistry, trust and love for each other? Do they model the level of personable service you want every team member to practice? Are values defined and communicated (whatever those are: Team, Engagement, Next Steps, People Matter, etc.)? Are teams using those values as lenses to serve guests? That is, are they operating from a motivation of values rather than mere technical training or a task list? Are systems defined and functioning so guests are served well? Are systems facilitated and owned by team members who utilize those systems to serve people? Do systems help team members understand their schedule, expectations, and feedback loop? Of course if you’re providing guest services in the local church, it’s assumed, but should be stated—the love of God in Jesus motivates everything you do. It is the number one driving value. Helping people experience the grace of God is the point—or there is none. Have you heard about our Workshops? They are one-day intense and focused, interactive learning events on Tuesday, October 18 and Wednesday, October 19 with lunch provided. So come with your team on either or both days ($20 discount if you attend both days). Learn more about First Impressions, Kids’ Ministry, Students and Creative & Communication Arts. Register today! This isn’t rocket science. It’s not brain surgery. It’s not even pastorally profound. It’s pretty common sense stuff. 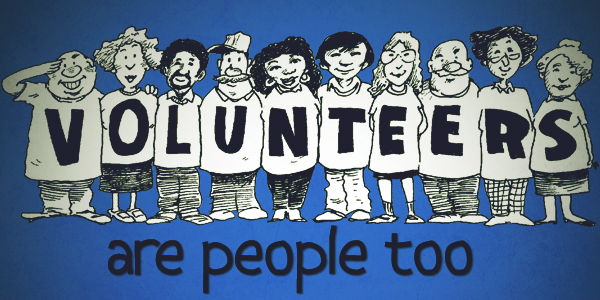 I want people on our guest services teams who are people-people (Definition: People who love people). There was a time in our church when greeters just needed to be able to brush their teeth and smile. Those days are long gone. They must bathe, too. Oh, yes, and they must like people. No, they must love people. Our guests and the guests in your church will intuitively know when our teams don’t care. You know it when you experience it. You have experienced the supermarket clerk who gives no eye contact, doesn’t speak to you until she tells you the total amount of cash you owe, and scowls to her associate in the next lane about how long she has been at work. You have bumped into the church greeter who brushed his teeth, but hadn’t smiled since 1952. And today he can’t remember why. We know when people really love, and really care. But when your team is made up of people-people, your guests will engage. They will know they matter. And when they know they matter to us, they'll be more open to hearing and accepting that they matter to God. And isn’t that the point? Excerpt taken from Mark Waltz’s Blog. 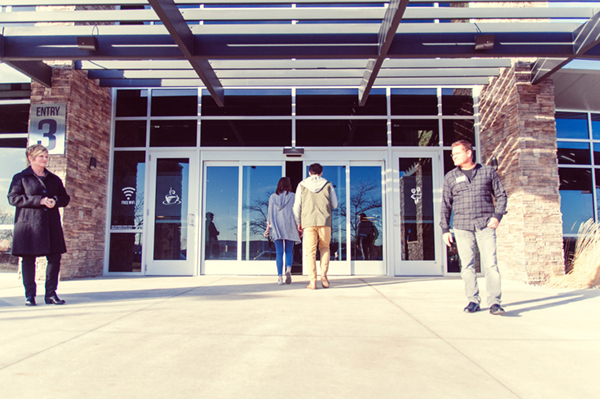 At Granger Community Church the goal is that every guest who walks in the door will get this above all: You matter to God. Of course it’s much easier to share when those guests first realize that they matter to Granger Community Church—right where they are. They may discover their “wow” moment in the restroom. (Seriously, when was the last time you visited a public restroom you could describe as pristine?) They may find it in the fact that they are neither pounced on nor left to flounder when they walk through the lobby, not knowing exactly where to go or how to get there. They may smell it in the aroma of their favorite cappuccino wafting through an inviting café area. No matter how your guests find that “wow” experience—before the music starts, before the “real message” of the service is delivered—they will have received a clear message already. They are valued. I walked into a restaurant with my family early in the lunch hour. Like, 11:00 a.m. On the dot. As in, we were the first customers of the day. Surveying the place, I saw—well, nothing. Lots of open tables. And still I was told “give me just a couple of minutes and we’ll have a table for you.” I could see at least 12,000 seating options. But I waited. As I sat down I intuitively wiped bread crumbs from the table onto the floor and thought, “This doesn’t make sense. There’s no way there have been other customers in here for lunch already.” Of course, the mess had to have been left over from the night before. We then learned that the coffee and tea were still brewing. It would have been okay if the posted opening time was 11:16 a.m. If they needed a few more minutes to prepare the place, I could have waited and shown up then. Bottom line? This staff wasn’t ready for us. They weren’t really expecting customers—not this early anyway. 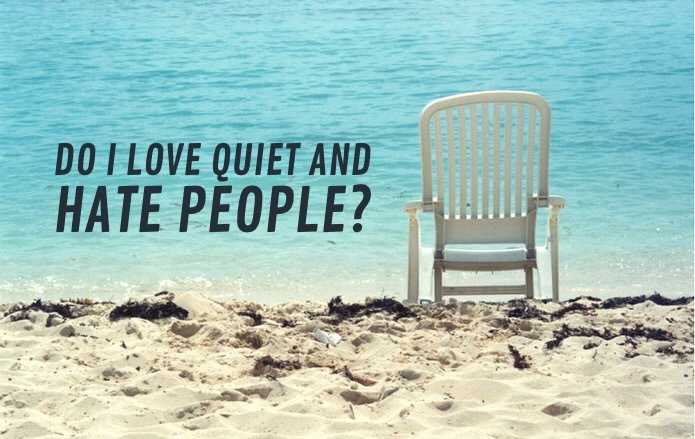 Do I Love Quiet and Hate People? I’ve been trying to find the rhythm that honors the way God wired me. I’m an introvert. But I like people. Love people. There’s nothing fake in the way I interact with people, particularly around our gatherings as a church. But as an introvert, I need down time. Alone time. Time to be, to think, to create, to rest. (Of course we all need this time—it’s what Sabbath is about—even for extroverts.) I refuel by being away from people, especially lots of people. And it’s helpful to my spiritual maturity thermometer to see my inclination toward introversion as contemplative. It is what it is, I suppose. In addition to the challenge of intentionally focusing our quiet on God, I’m realizing there are a couple other cautions for those of us who find meditation to be a comfortable and engaging connection with God. First of all, we must be careful to not continually be seeking one more experience. One more time of feeling spiritual. One more time of feeling. We must remember that it is God we seek, not merely an emotional experience. Secondly, we must not love the monastery so much—wherever that is for us—that we neglect experiencing relationships with those around us. God created us for each other. There is a sacred experience, a holy exchange between two or more Christ followers who lean into each other’s lives—calling out the image of God, the formation of Christ in our lifestyle. Relationships are an encounter with God that must not be missed—even for the contemplative seeker. I want to create space and time for God’s Spirit to work deeply and gently within me. How about you?